On a busy weekend of action across multiple surfaces and continents two PACE athletes took impressive victories. 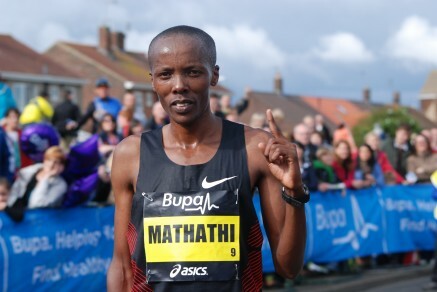 As Rupp continues his preparations for London Marathon in April, Martin Mathathi (KEN) took top honours in the Kagawa Marugame Half Marathon. Sitting a little off the pace at half distance, Mathathi wound the leaders in and then moved away to take the win in 60:11. After making a late decision to run at the Ugandan Cross-Country Championships, Moses Kipsiro (UGA) showed he is still the man to beat as he took the title for the sixth occasion. In very hot and testing conditions, Kipsiro waited until the final 200m to kick away from his rivals. Thomas Ayeko (UGA) was fifth. At the Russian Winter Indoor Meeting in Moscow, Bethwel Birgen (KEN) was just outkicked over the final 40m of his 1500m race to take second place in 3:36.10. Birgen did have the consolation of this also being the second fastest time in the world this year. Jeremiah Mutai (KEN) was third in his 600m race and Chris Tomlinson (GBR) jumped a seasons best 7.81m for sixth place in the Long Jump. Representing her club Aldershot, Farnham and District in the European Clubs Cross-Country Championships Steph Twell (GBR) placed 7th.